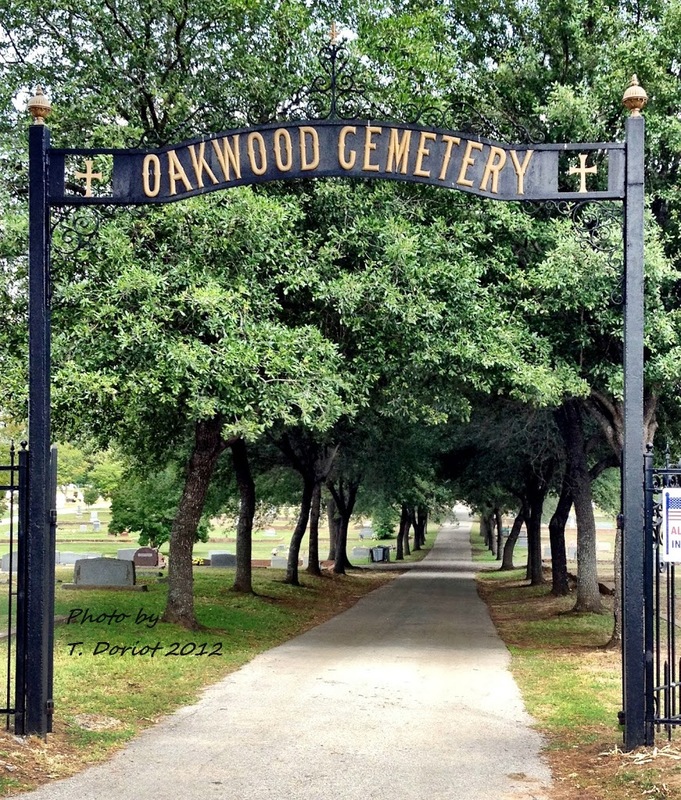 The Old Oakwood Cemetery tour in Jefferson Texas is a relatively new event. 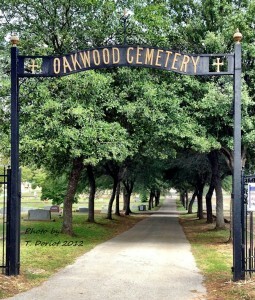 But don’t let that fool you; it is well worth the pleasurable stroll through our lovely mysterious cemetery. 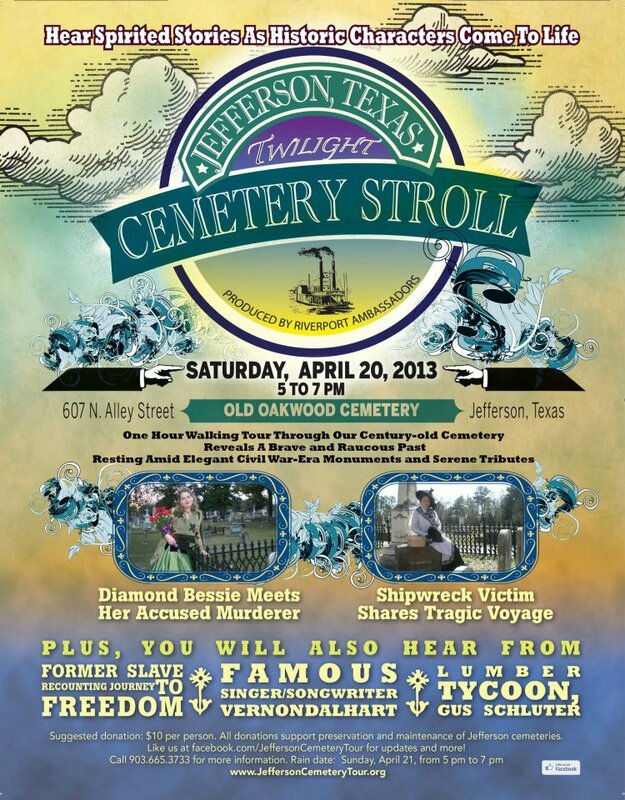 The tour begins April 20, 2013 at 5PM and runs until 7PM. The best part of this particular tour is the fabulous historically dressed guides provided by our own Jefferson Riverport Ambassadors. 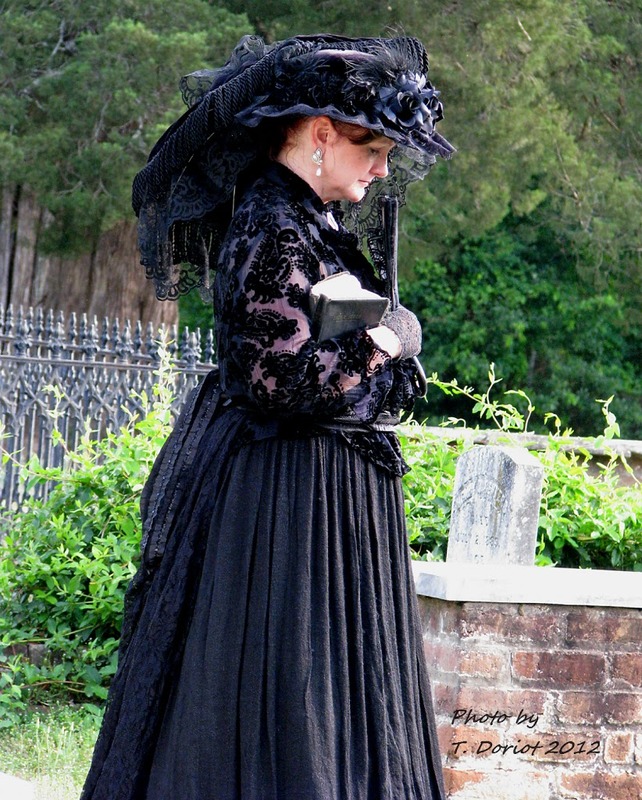 As you are guided to the resting place of one of our historic characters you’ll walk by many others that will be pointed out, along with a bit of their history. Some of the sites will have the person or people brought to life by actors portraying them with a live version of their history. 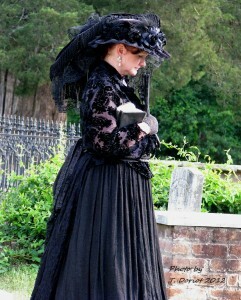 Ms Benners pining over the graves of her lost children. Jefferson has such a rich diverse history it is always hard to pick which story to tell, these tours will have you wanting more. You’ll just have to come every year to experience them all. This year the infamous Diamond Bessie, Abe Rothschild, Lucy Russell, Judy Bedford, Gus Schluter and the famous 1920’s singer-songwriter Vernon Dalhart will all be brought to life to tell their stories. As with any cemetery please be mindful of the graves and try not to step on any of them. If you have an umbrella, bring it along so you won’t be bothered by the sun, wear walking shoes and have a fun time. There is a suggested donation of $10 per person for this once a year experience. 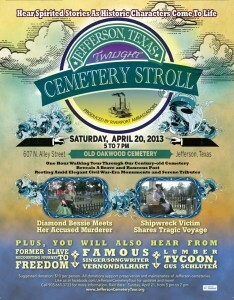 Your donation helps support the maintenance and preservation of the Jefferson Texas Cemeteries. If there is rain the tour will be held on Sunday April 21, 2013 at 5 to 7PM.